Retail Customer Cash Retail Customer Cash (13374). Consumers will receive Retail Customer Cash on select new vehicles. Take new retail delivery from dealer stock by 04/01/19. Residency restrictions apply. See dealer for qualifications and complete details. eCoupon Direct Offer (37148). Valid on 2018/2019 Ford vehicles excluding Ford F-150 RAPTOR, Ford Mustang GT350, Ford Mustang BULLITT, Ford Focus RS. May not combine with private offers. Non-transferable out of household. Limit one per household. U.S. Residents Only. Must redeem using original offer; no duplicates accepted. Take new retail delivery from dealer stock by 07/01/2019. See dealer for qualifications and complete details. eCoupon Direct Offer eCoupon Direct Offer (36638). Valid on 2018/2019 Ford vehicles excluding Ford F-150 RAPTOR, Ford Mustang GT350, Ford Mustang BULLITT, Ford Focus RS. May not combine with private offers. Non-transferable out of household. Limit one per household. U.S. Residents Only. Must redeem using original offer; no duplicates accepted. Take new retail delivery from dealer stock by 08/01/2018. See dealer for qualifications and complete details. $239.64 per month for 24 months. $1,402.70 due at lease signing. Excludes registration, tax, title and license. $189.78 per month for 36 months. $1,584.54 due at lease signing. Excludes registration, tax, title and license. $182.99 per month for 39 months. $1,636.49 due at lease signing. Excludes registration, tax, title and license. $180.44 per month for 48 months. $1,792.34 due at lease signing. Excludes registration, tax, title and license. 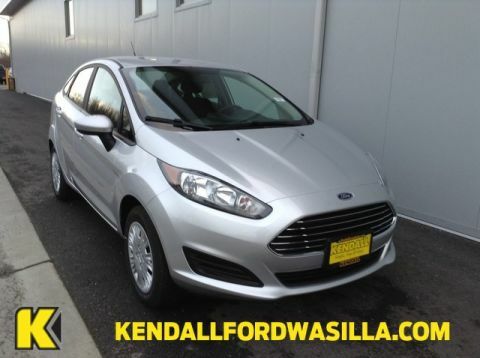 Listed Incentives are available for registrations at Kendall Auto Alaska located in , . Information Provided by Automotive Information Systems, Inc: Information is Reliable but not guaranteed. Finance Offers (APR) are available to qualified buyers subject to Credit Approval, not all buyers will qualify.